The Spanish Round Morion Helmet by Marto of Toledo Spain is a full size reproduction of a 16th century helmet. The helmet provided protection for the head and featured a rounded profile , semisferic crest and a crescent shaped brim. 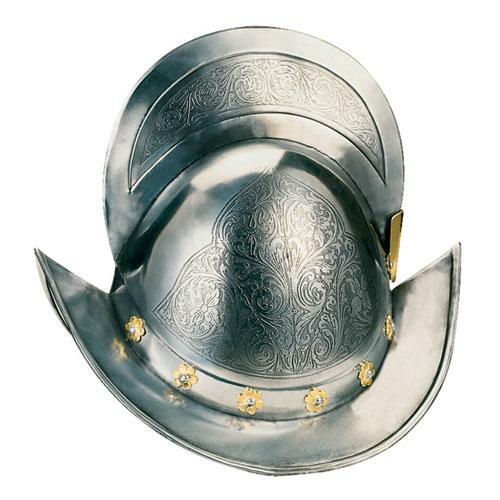 The Morion helmet was used in Europe by infantrymen between the second decade of the 16th century and the first decade of the 17th century, in particular by Spanish soldiers but also used in other armies of Europe. Entirely made in polished steel. Overall Height: 33 cms - 13 inches.